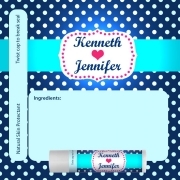 Wedding Lip balm favors – makes a perfect choice for those who are finding ways to address their special guests, who may turn up for a wedding in their family. 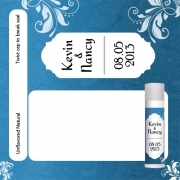 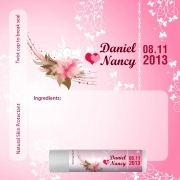 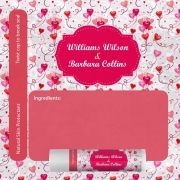 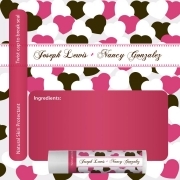 Personalized Lip balms presented in this category can be used during – beach themed, novel themed weddings, Las Vegas weddings, and Asian weddings. 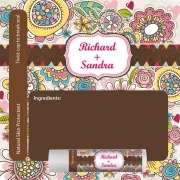 Personalized chapstick presented in different colors, aromas and flavors will definitely strike up with guests because it can be easily tucked away in desk, purses, handbags, cosmetic cases, etc. 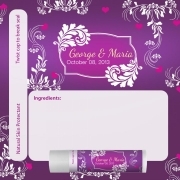 Custom imprinted lip balms are offered in variety of designs and flavors and it can be used to acknowledge all those who turn at wedding! 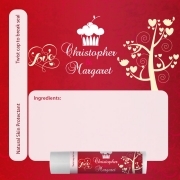 We have chosen to offer abundance of variety in these lip balms because weddings are graced by people of different tastes and cosmetic requirements.